Annabel graduated from Oxford University with a degree in English Literature and an ambition to be a children's author. She had a variety of jobs before deciding to travel the world and focus on writing. Annabel now lives in Yorkshire with her husband and two young sons. 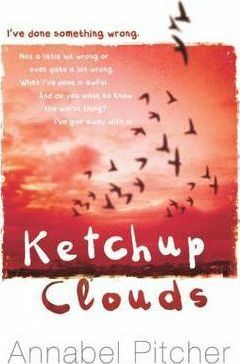 Her first book, MY SISTER LIVES ON THE MANTELPIECE, won the Branford Boase and a Betty Trask Award in 2012 and KETCHUP CLOUDS won the 2014 Waterstones Children's Prize. Annabel's work has been shortlisted for numerous prestigious awards including the Dylan Thomas Prize, the Galaxy British Book Award and the Red House Children's Book Award and longlisted for the Guardian Children's Fiction Prize and the 2012 CILIP Carnegie Medal. Visit Annabel's website at www.annabelpitcher.com and follow her on Twitter @APitcherAuthor.